On the internet, we are all critics. Want to know which restaurant to go to? Yelp it. Which beer? BeerAdvocate can tell you. We have developed a culture of reward, where preference isn't even binary--you can "like" something, but not dislike it. We may infer opprobrium, but we can't express it. Worse, we have subtly shifted what it means to offer critiques of something. In crowdsourcing our criticism, we submit to a subtle form of mass appeal: the top-rated imperial stout on BeerAdvocate gets a 4.61 rating; the top helles just 4.11. If you rely on raters of the site, you will be steered away from the unpopular styles, like the popular kids speaking ill of the unpopular. In the New Yorker, Daniel Mendelsohn thinks deeply about artistic criticism. For all criticism is based on that equation: KNOWLEDGE + TASTE = MEANINGFUL JUDGMENT. The key word here is meaningful. People who have strong reactions to a work—and most of us do—but don’t possess the wider erudition that can give an opinion heft, are not critics. (This is why a great deal of online reviewing by readers isn’t criticism proper.) Nor are those who have tremendous erudition but lack the taste or temperament that could give their judgment authority in the eyes of other people, people who are not experts. (This is why so many academic scholars are no good at reviewing for mainstream audiences.) Like any other kind of writing, criticism is a genre that one has to have a knack for, and the people who have a knack for it are those whose knowledge intersects interestingly and persuasively with their taste. In the end, the critic is someone who, when his knowledge, operated on by his taste in the presence of some new example of the genre he’s interested in—a new TV series, a movie, an opera or ballet or book—hungers to make sense of that new thing, to analyze it, interpret it, make it mean something. By dramatizing their own thinking on the page, by revealing the basis of their judgments and letting you glimpse the mechanisms by which they exercised their (individual, personal, quirky) taste, all these critics were, necessarily, implying that you could arrive at your own, quite different judgments—that a given work could operate on your own sensibility in a different way. As readers, we agree to at least entertain the opinion of critics, which has at least the flavor of submission. But a good critic will give her readers the tools to disagree. This is one of the central virtues of the sole critic--the elite critic--over mass criticism found online. A critic may give a bad review, but by showing her work, the reader can make a secondary judgment. With an aggregate score, you're left with the gnawing worry: but what if it's really good, just not popular. After all, they canceled Firefly after just one season and Two and a Half Men is still on the air. Which is, basically, the reason why I prefer to follow certain bloggers/writers instead of relying on rating sites. The blogger/writer might not like a beer in particular, but, based on their description and my knowledge of their tastes, I can pretty much make up my mind whether I might like the beer myself or not. Really interesting post and totally agree. It's also why a review of "it tastes good" is pretty much useless. It tells you nothing about why and so you need a lot of outside knowledge for it to have any meaning. I have to say that this is exactly for me where Jackson now fails to reach the heights and has in fact aged not as well as one might have wished. I think he got locked into the unified grand theory and likely this was compounded by being the only voice for so long. Its not like someone like Protz was a challenge let along a challenger. There are far too many stock ideas and even phrases across his works for me to consider his work now a standard so much as a massive monolith still needing taken into account. I know people will say they knew him and he was swell and all that - and I am sure it is true. But we live in the world where in addition to erudition and taste intellectual competition is more vibrant. All very well for the critic to (again) argue they are special... but what happens when you have twenty-five perfectly erudite and tasteful yet disagreeing critics? "Being a critic is one of the things I do for a living. Being a reporter is another. Is a reporter a fearless seeker-out of truth, neutral and objective? Or does he recruit those qualities in support of his personal passions? When I enlisted, at the age of sixteen, I may have been attracted by the powerful purity of the first role. In the event, I grew into the second." I apologize, Jeff, for commenting on Alan's comment rather than talking to your original point, but I think it is important to remember that he was a reporter. That is a very good point, Stan, but not perhaps one that has been taken up in the time since his passing. His passion and drive. Further, at some point a significant volume of beer thought will have come into existence since his passing. So, are we there? Does a critic pass with this time? Sorry, I forgot to not leave something implicit when I look back on what I just wrote. I understood that Jeff *was* suggesting he was a critic and I was suggesting that he has been taken as a critic even if he considered himself otherwise. There isn't enough attributable criticism in beer world. Even bloggers are guilty of letting also-ran beers off the hook...because they fear retribution. Some of these fresh hop beers deserve a good beating, but I bet there won't be many. I know he considered himself a journalist, and I know that's where he spent the first portion of his career. But he was a critic, too, and a very good one. He is in a slightly special category because he was visiting a topic tabula rasa and offering it back to a readership ignorant of that topic. His was criticism by omission: since no one knew all the, say helles bocks, it didn't do any good for him to offer critiques of all hundred of them. Instead, he offered the ones he thought were worth our attention. Were Jackson writing those books now, I think they would have been very different, and we would have seen more of his critic's side. As for the idea that his writing doesn't hold up now, I find exactly the opposite. If he were to release the Beer Companion today, it would rank as one of the most accomplished books on beer in 2012. We would rightly criticize it for containing some outdated scholarship--something no one in the age of Pattinson and Cornell can afford to do. But we'd forgive him because the book is so nicely written and well-conceived. And of course, it was written 15 years ago. No work of that vintage will ever stand up so long as a field has continued to evolve. I go back to my Jackson regularly and am continually surprised by how fresh and relevant I still find it. "The Great Beers of Belgium" (not all 7 editions are distinctively different, but 3 of them in there are) is the best example of MJ updating himself rather completely (as opposed to the pocket guides, which tended to include small changes and in some cases almost nothing between No. 1 and No. 7). And that remains tilted toward providing information rather than criticism. Were you to fold in some of what he wrote between 1992 and his death and clean up a few bits of stray scholarship (it wouldn't take much) and a 20th anniversary edition of The Beer Companion (we've obviously run out of time to get that done in 2012) wouldn't be one of the most accomplished books on beer in 2012. It would be the best. I have to say, with respect, that it is what for years I have only been able to consider this sincere adoration that does not help and may well impede understanding of his thinking. I do not write this to be mean spirited but even writing it down I am well aware it's considered a rudeness. But it's one that would never be raised in relation to other beer writers or, in fact, writers in other fields that I am well familiar with. Accordingly, it is a measuring stick I have to set aside to concern myself with what remains. Alan - I'm not sure I understand. And I'm not sure we should keep slagging the discussion here. I don't understand the adoration part. 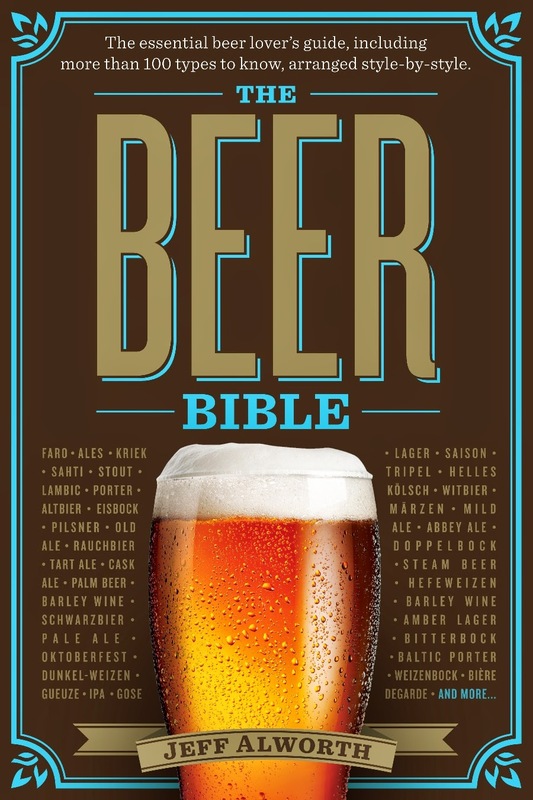 Every time somebody writes a beer compendium - "The World Beer Atlas" being the latest - there is an urge on some fronts (not me) to compare it to "The World Guide to Beer." Although, as MJ said often when interviewed, that was based on Hugh Johnson's wine book. The "World Guide to Beer" laid a foundation, but in my opinion the "Beer Companion" was the game changer. It was organized in a different way, integrated beer and food more closely, and included a ton of reporting (brewing details). When I say we need more books like that I don't mean that have to be just like that. I'd like more where the authors (and the publisher) are brave enough to do something different. I appreciate that you appreciate I am treading potentially thin ice or at least in a charged area - but still think I have an important point. And it is a point that is not about the man but how he is taken. I could simply never imagine saying something that was not done would be the best. It could be welcome and could be many fine things but everything is both relative and has faults. I agree, too, that his work was a game changer but, fully without his intention, it has also caused a couple of odd smothering effects that go to the heart of the issue with having critics and, to use Jeff's phrase, elite critics. One effect was the uncomfortable rush to assert who next would be on the podium after his passing. It was an unthoughtful thing in that it did not speak to why the proposed next body of work was worth recognition only that the podium being vacated required a new tenant at the top. The other thing is the lack of detailed analysis of his thinking. You can see it in this discussion, something of the reluctance to treat a saint as mortal. Again, an unintended response I am sure from the man's perspective. As a result, I am too often feeling - as I do with many critics as Jeff describes and appears to approve - that I am dealing with a brand as opposed to an actual body of thought. For me, and as I have written above as being *for me*, the work is critical but is becoming decontextualized for present purposes as thinking moves ahead. I would think the same thing in other fields. We all know Disney was key. One other point - you have implied a couple of times that I ought not to be making comments here. To be clear again, Jeff mentioned the work of the man and included him in his analysis as the prime illustration. Not only is this discussion fair to be held here but it is exactly on the point of the post. It is actually concerning to me that we back off in beer thinking and writing at moments or on topics like this. I could not imagine suggesting you were not to post a comment or have a discussion somewhere. It would not be my place. This conversation is totally on topic--and I'm enjoying it. But it's also possible to adore something flawed--actually, if we're being honest, everything we adore must by definition be flawed. I adore Jackson because his prose was so good--his descriptions simultaneously precise yet surprising and unorthodox. 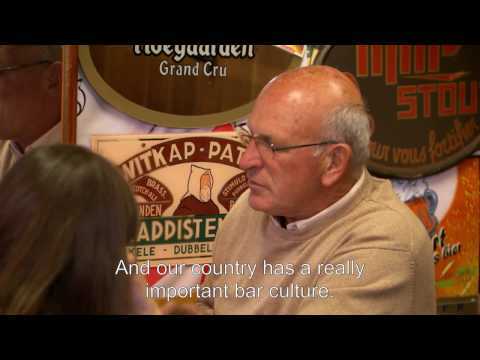 His love of Belgian beers was infectious, and I caught that bug from him. Sometimes I read GBoB just to moisten my enthusiasm--never mind the faults. But should we move on? Yes. I think this whole thing begs the question: where should we move? What's the role of beer criticism now? Leave the idea of the "next Jackson" behind. I'm with you. If Mendelsohn wrote "KNOWLEDGE + TASTE = MEANINGFUL JUDGMENT" and you agree with him, how on earth can you then say that "BeerAdvocate (has) real utility"? From what I have seen of the beer fan sites, "knowledge" and "taste" seem to be the two qualities most remarkable for their absence. I do hate being sharp (honestly and especially with you Stan - though I do appreciate it may not sometimes seem that way) and, Jeff, I think that is a great set of observations that take me where I could not express. You know, for me, his best book is The English Pub because of the narrative flow, the gentleness of his wish to retain what was disappearing around him. He conveyed a warmer quieter feeling than the too often used "passion" includes. Mike, they're good for steering you away from duds. The masses may not know good beer, but they're pretty good about identifying bad ones. I don't think of it as criticism, though. Jeff, the reason they are "steering you away from duds" is you apparently have American taste for beer. Probably the worst beer I have ever tasted (a dud by any other name) is the Southampton Abbot 12. It is basically sugary sugar water with about 10 percent alcohol thrown in to satisfy the geeks. I assume that's 99 out of 100, which would make it near perfect. A mere 88 (out of 100?). I could give you more examples, but why waste the time? Interesting w/r/t Jackson: folks writing about whisky have been able to defined themselves as critics and authorities: they _have_ escaped his shadow. But perhaps that's because there's much more of a luxury component to whisky that isn't truly there for beer? Wine critics have that authority, as do fine dining critics, cigar critics. Beer In Ads #2970: Beer, The Right Thing For Real Thirst! How Should Oregon Regulate Alcohol?